Spencer Van Scoyoc's prospects were good at playing baseball in college. Helping him get there was a baseball family that included his father Aaron Van Scoyoc, according to Prep Baseball Report.com. "It's a big privilege to have that knowledge accessible to me, helping advance me throughout my playing years," the younger Van Scoyoc told the site in September 2014. Spencer Van Scoyoc's family included grandfather Jim Van Scoyoc, the longtime coach at legendary Norway High School in Iowa, as well as his father's uncle Mike Boddicker. Aaron Van Scoyoc's baseball resume included a stint playing professionally. His career, though, lasted just three seasons. He never made AA. 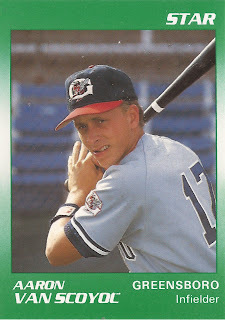 Aaron Van Scoyoc's career began in 1989, taken by the Yankees in the 21st round of the draft out of the University of Arkansas-Fort Smith. He played his high school ball under his father at Norway High. In 1987, he helped Norway to another state championship, winning MVP of the tournament in the process, according to NorwayBaseballMuseum.org. With the Yankees, Van Scoyoc played his first season at short-season Oneonta. The infielder hit .237 in 65 games. 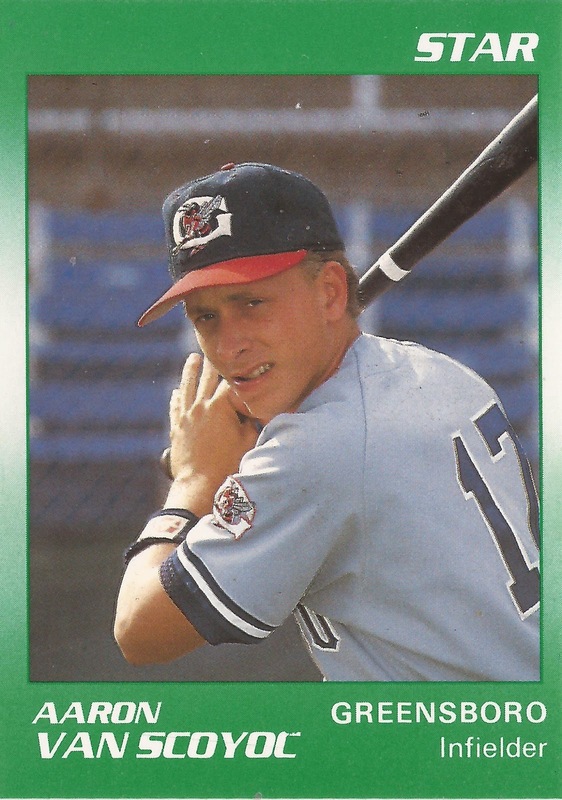 He moved to single-A Greensboro in 1990, hitting .222 on the season. He doubled and scored and tripled and scored in an April game. He played 1991 between Greensboro and high-A Fort Lauderdale. He had a ninth-inning, game-tying double in a June game. He hit .244 overall. It was his final season as a pro.